It was a lazy Sunday afternoon and I decided to cook something easy for the family. 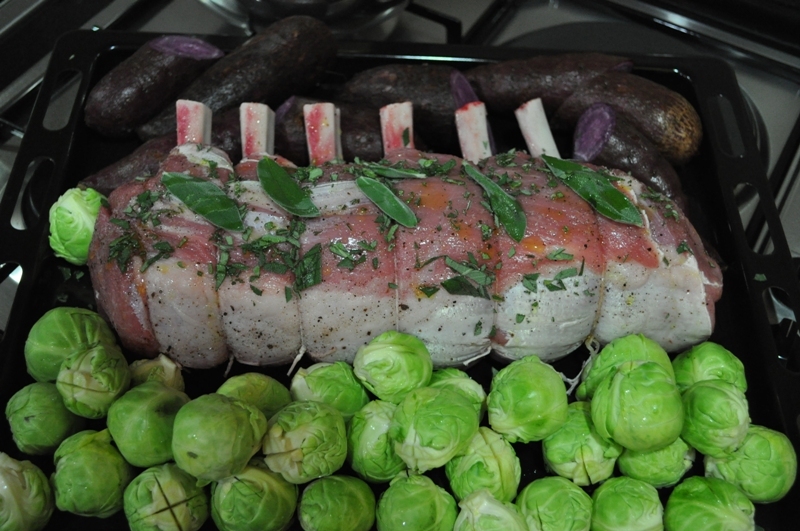 What easier way than to do a roast with all the accompanients in the oven cooking simultaneously. It looks like a lot of work, taste like a lot of work but is so easy to do. I hope this inspires you to do a Sunday roast for the family! Ask the butcher to french the rib bones for better presentation. 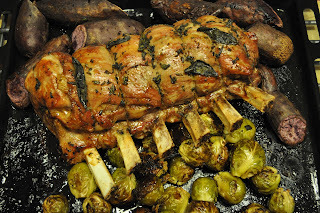 However the meat on the bone is one of the nicest parts when roasted so you can opt to leave the meat on the bone. Also get the butcher to tie the rack so that the thickness of the roast will be even and will result in a more even doneness throughout the roast. Chop the sage leaving 5 whole leaves for presentation. Season the Veal rack with the salt, pepper, sage and olive oil. 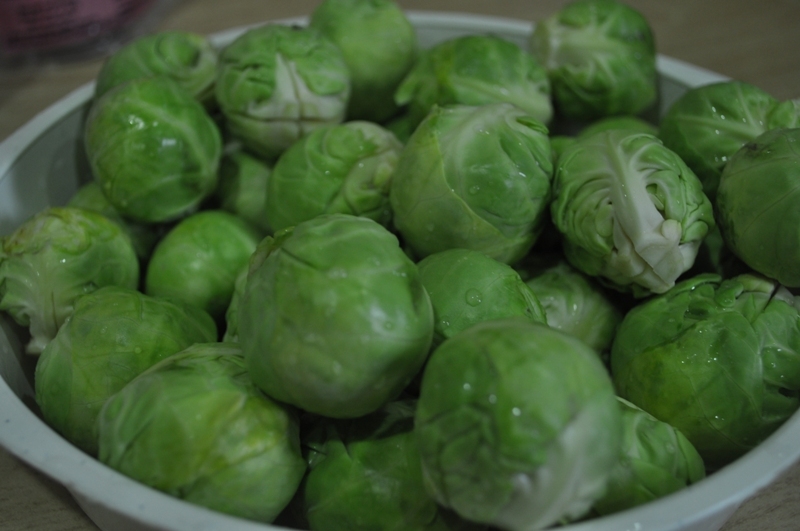 Season the Sweet potato and Brussels sprouts with salt and olive oil. Baste the surface meat with the liquid veal glaze before roasting, and baste periodically throughout. 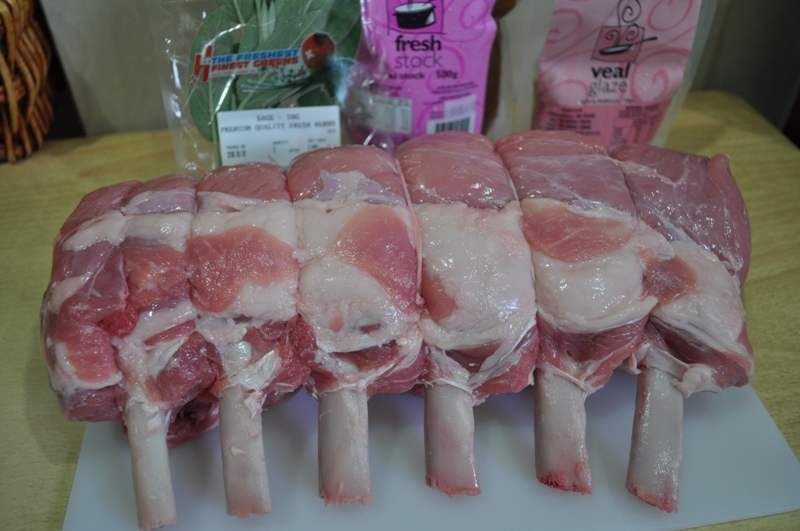 Pre-heat the oven to 200ºC for 15 minutes and subsequently turn it down to 170ºC and roast the veal rack for 45 minutes or until the internal temperature is 64ºC. Remember to baste the meat every 10-15 minutes. 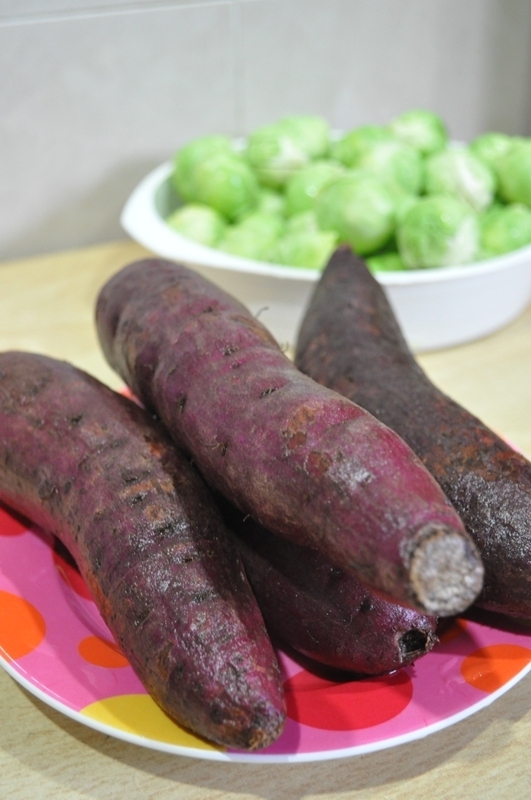 Roast the sweet potato and brussel sprouts on the same tray. Once done, turn off the oven, open the oven door and allow the roast to rest for 10 minutes before serving. You can produce a simple sauce by collecting the pan juices (skim the excess oil) and combining it with the leftover veal glaze. Heat it up in a sauce pan and whisk the unsalted butter slowly into the sauce. Season to taste.